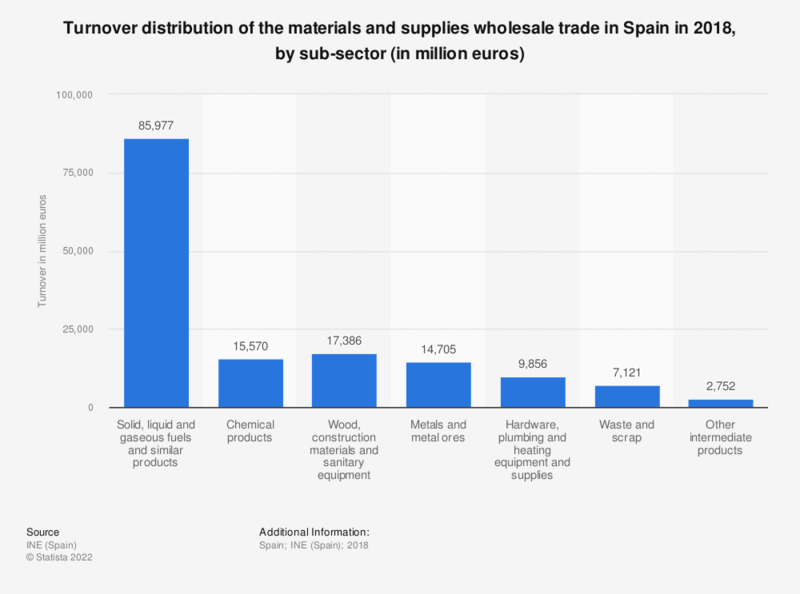 This statistic displays the distribution of turnover made in the Spanish materials and supplies wholesale market in 2016. The greatest share of turnover in this sector was held by the wholesale of solid, liquid and gaseous fuels and similar products. Turnover from the wholesale of chemical products reached 16.5 billion euros.